Color and light go together like day and night. The constant change throughout the day controls our way of life and affects how comfortable we feel in an environment. This makes light control one of the most important factors when it comes to decorating. We use light to brighten and clarify activity. In contrast, the absence of light invokes nocturnal peace and elegance. 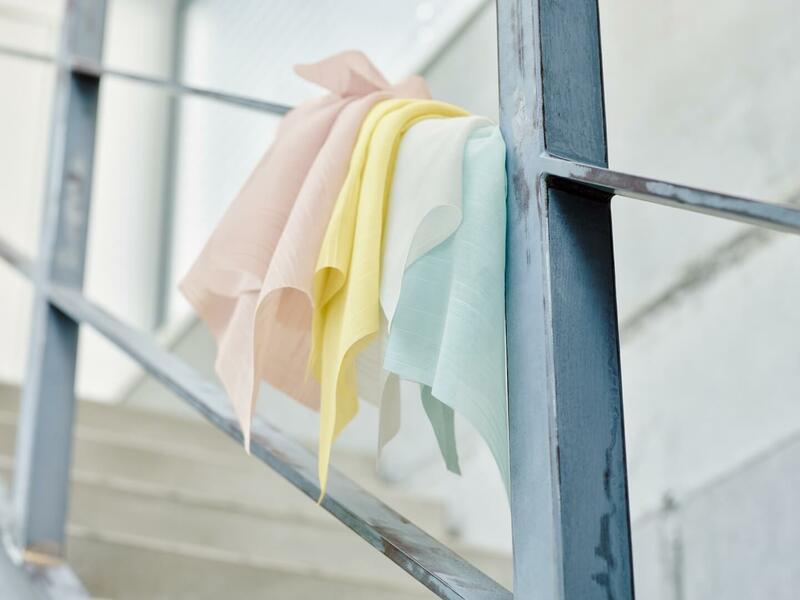 The fabrics and colors in the new ADO autumn collection play with light in a variety of ways. They filter, amplify and dim it. And together, with radiant autumn tones, present modern living spaces in the very best light. Why turn back the clocks when summer was so beautiful? Our new printed fabrics bring nature into your interiors. Grass, flowers and butterflies give a carefree, light airy feel to your windows all year round and unceremoniously block out winter. The dazzling rich colors of a vivid swarm of butterflies unfold on this semitransparent printed fabric in two color variations: late summer vibrancy and delicate spring. This creates a light, feminine atmosphere in country cottages, penthouses and everything in between. The abstract poppies bloom in a light and airy setting on a fine textured background. The floral pattern looks as if it has been applied with a watercolor brush and radiates joy in three fine color combinations. The floral vine pattern sits on a linen-like base fabric and displays an exceptionally natural radiance. In a delightful interplay of transparency and density, it creates a decorative play on light and shadow at the window. A grand entrance for grass. 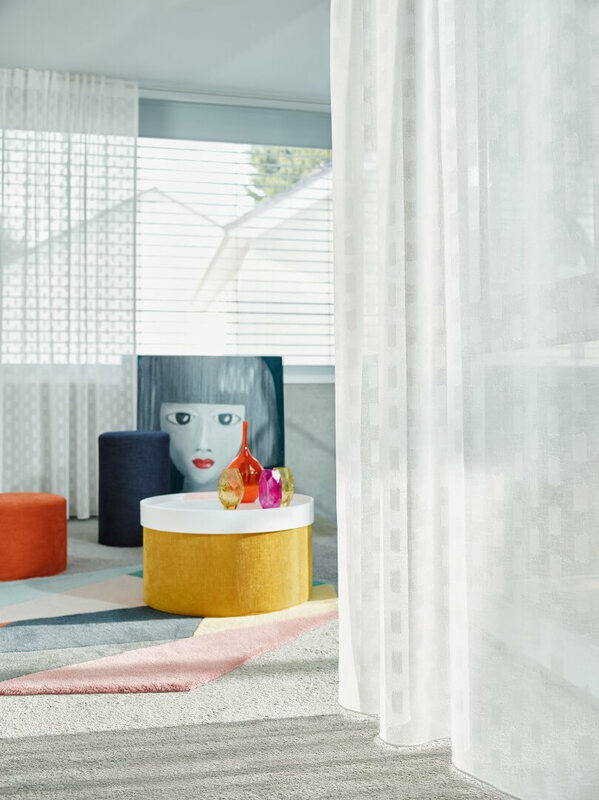 It gives the burn out pattern inspired by nature a graphic touch that interprets the contrast between transparent and opaque in modern linearity. 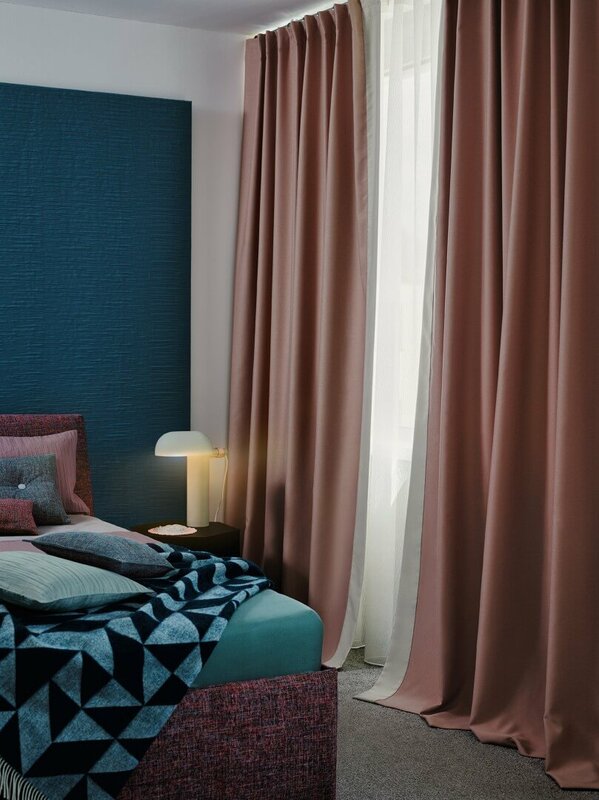 These single-color fabrics deliver the desired dose of light in the room at any location: gently toned from fine batiste, finely dimmed with a transparent linen structure or reliably obscured using dense dim-out fabric. This especially soft flowing fabric resembles linen because of its structure. It is captivating both visually and to the touch. The palette of colors provides variety with attractive neutrals in numerous nuanced shades of cream, silver, sand, taupe and anthracite. The natural-looking batiste in 21 pastel shades—from muted to colorful—is an ideal partner for the printed fabrics in the collection. 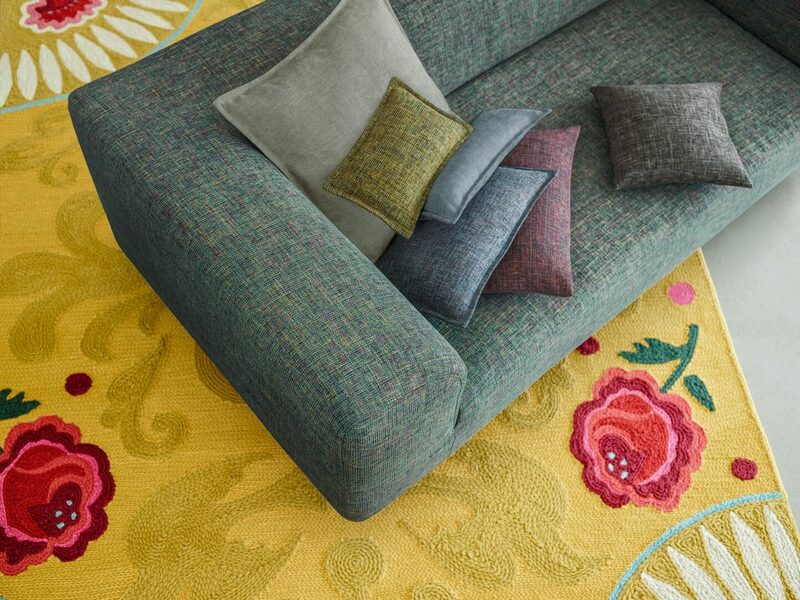 A decorative flamée effect gives vibrancy to this versatile single-color fabric. This modern blackout fabric has a high fabric density that allows it to regulate temperature. It blocks out cold in winter and excess heat in summer. With a fine yarn mix in 24 inviting colors, it is also highly recommended based on all decorative criteria. These subtle fabrics focus on softening the harsh incoming light with adaptable basics and soothing textures. They provide privacy without darkening the room and deliver an exemplary, discreet understatement. 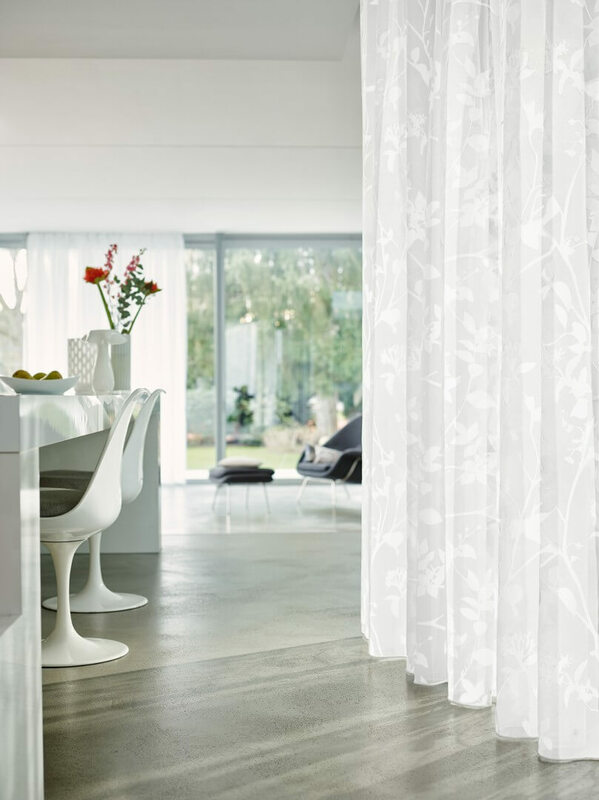 These delicate pattern variations are available in shades of pure white, pearl and cream. Tilda 3322 (118” Patterned Sheer | 100% PES) features scherli dots, Aline 3232 (122” Patterned Sheer | 100% PES) is an allover scherli with an ikat effect and Silia 3348 (116” Patterned Sheer | 100% PES) is a scherli fabric featuring a wave pattern. 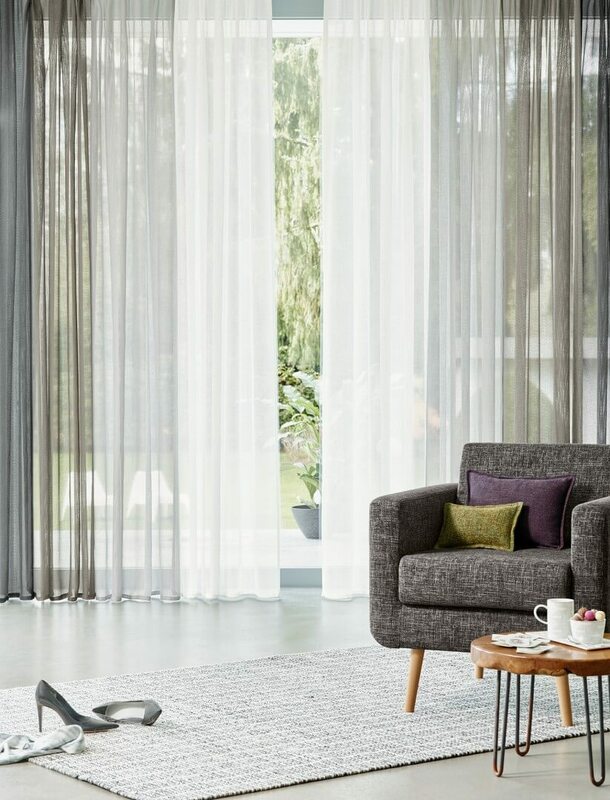 Berit 3231 (118” Patterned Sheer | 100% PES) rounds out the series with its decorative stripe structure, while Naya 3178 (118” Patterned Sheer | 80% PES, 10% PAC, 8% CO, 2% OTHER) is a lively allover with a jacquard structure. 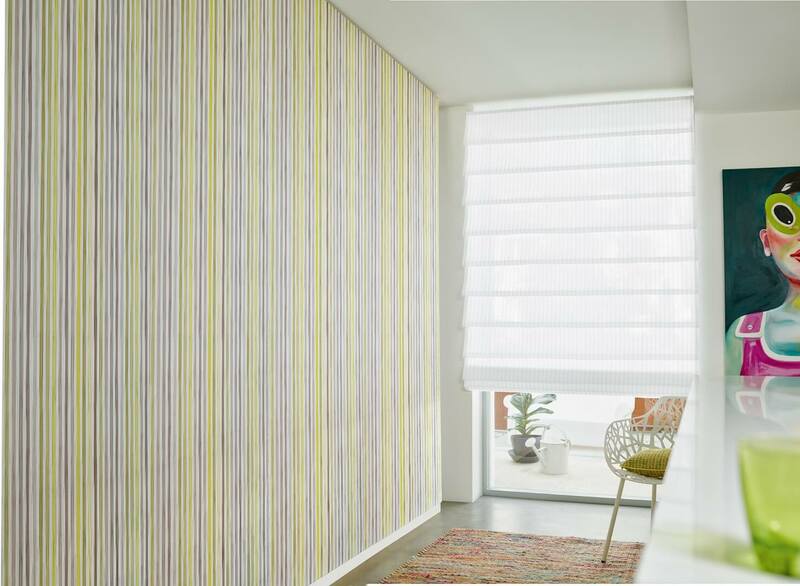 A broad range of creative ideas: Svea 3183 (118” Striped Sheer | 100% PES) features regular pinstripes and Ole 3138 (118” Striped Sheer | 100% PES) displays a fine series of lines on a transparent background. With Arne 3149 (118” Striped Sheer | 100% PES), the block stripes stand out in a granular woven structure, while Bent 3158 (118” Striped Sheer | 100% PES) features different weave structures. Noa 3118 (118” Striped Sheer | 100% PES) rounds out the range with elegant pyjama stripes and a fine chenille effect. Here we find subtle differences. The white single-color fabrics differ in terms of the details of the textures: the fine sablé look of Norik 3070 (118” Novelty Sheer | 100% PES), the crepe structure of Mika 3097 (118” Crepe | 100% PES) and the fine web effect of Arik 3094 (118” Novelty Sheer | 100% PES). 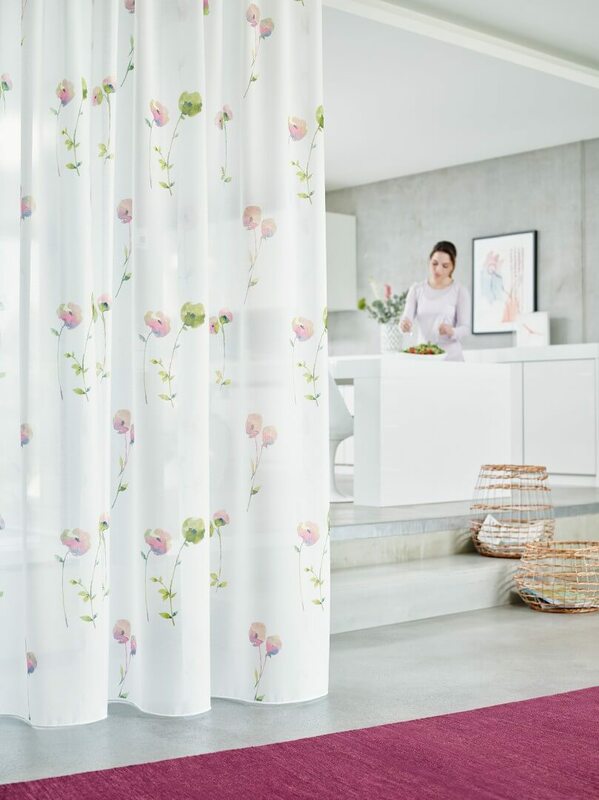 Steen 3093 (118” Novelty Sheer | 100% PES) combines a smooth surface with delicate luster, while Jano 3096 (118” Novelty Sheer | 100% PES) uses delicate vertical and horizontal thread lines. The two autumn additions to the ADO upholstery fabric collection are chic, durable and easy to clean. These timeless modern basics bring cosy comfort to any and every type of seat, and can be used without hesitation on family sofas that see a lot of use (and abuse). This robust upholstery fabric in trendy tweed has a decorative and artisanal appearance thanks to its structured surface. Multi-colored blend yarns combine to form 21 attractive colors that simply hide even the slightest trace of use. With a pleasant, soft feel and a delicate luster, this single-color yarn can be used equally well as a decorative fabric or an upholstery fabric. 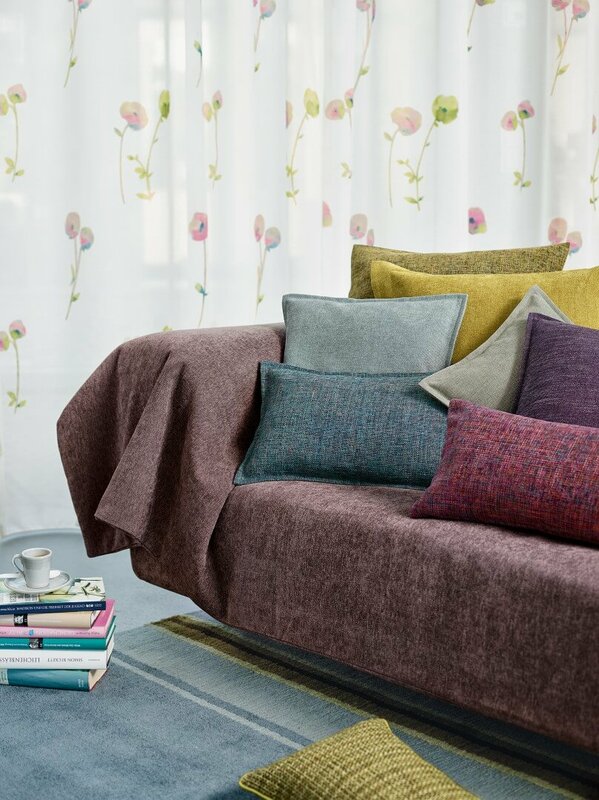 Its fine chenille yarns gain a cloudy color effect through a special finish, giving the fabric vibrancy. It can be used alone or in combination with Talis. Click here to view our pricing guide and recommended applications for this new collection. To celebrate the release of these new designs, we’re offering you 25% off your first order from this collection when you purchase a “Colors of Light” hanging sample package or our “Talis” Upholstery Fabric sample book! Just mention code COLORS25 when you place your order. But don’t delay—this offer is only good until June 30. We agree! This may be our best collection yet! Lovely collection, but I don’t see the information on ordering samples. What does it cost, and are all the fabrics included? You can get all ten hanging samples from this collection for $340. The Talis Upholstery Book is also available for $100. Don’t forget that each of these sample packages are fully rebateable by achieving a minimum sales target within 12 months. Hi Susan! What can I help you with?